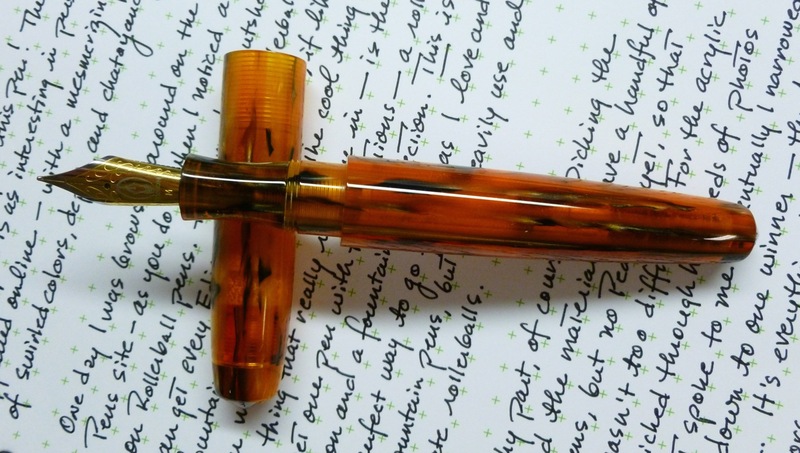 One day, back in the winter, I was battling extreme cabin fever by browsing around on the Edison Pen Co. site, as you do. As I clicked around, I noticed a section I hadn’t paid attention to before—a section about rollerball pens. Hmmmmm. Here, Brian explained that you can get every Edison Pen model as a rollerball, if fountains pens don’t do it for you. 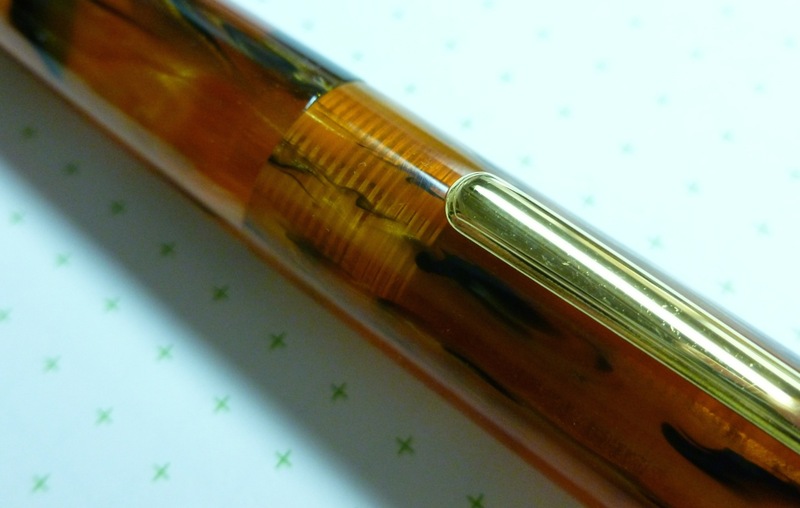 OR, if you’re like me, and keep a foot in both the fountain pen and rollerball worlds, there’s the very cool option of getting one pen body with two sections—a fountain pen section AND a rollerball section for an additional $50. When I read about this option, bells of joy chimed in my head (they did!) 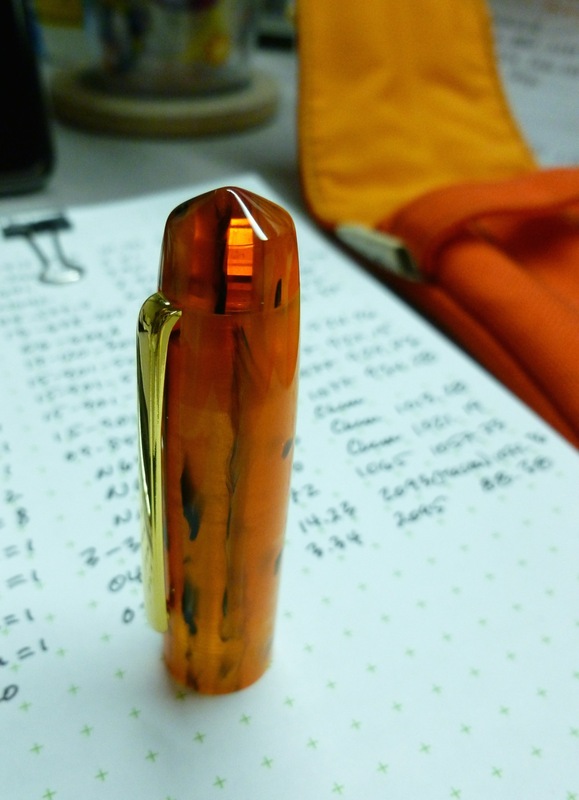 because as much as I love and use fountain pens, I also heavily use, and appreciate, rollerballs. Brian Gray and I exchanged a few emails to discuss this “two-fer” option, then came the tough choice of picking a model and material for my new RB/FP pen. 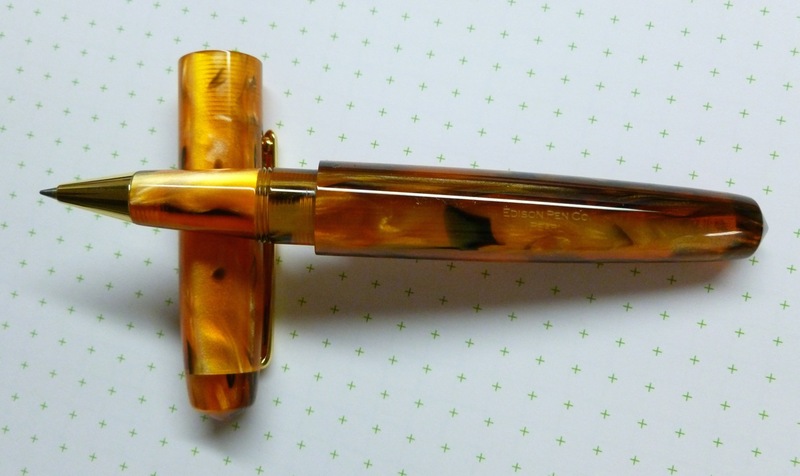 I have handful of Edison pens, but no Pearl as yet, so the model decision was settled quite quickly. 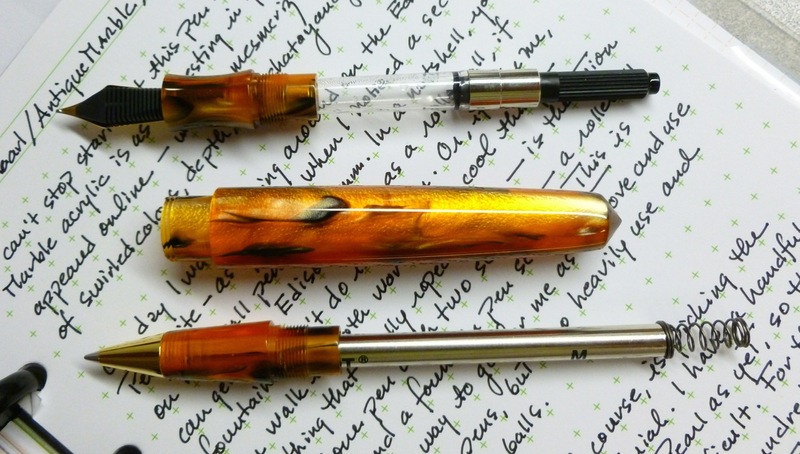 To choose a material, I clicked through hundreds of photos on the Edison Pens gallery and took note (quite literally) of which materials gave me a little zing. From this subset, I did some focused browsing, and ultimately decided on the Antique Marble acrylic. It’s everything I love— autumnal colors, amazing depth, liquidy swirls, some translucency, and a good dose of chatoyancy. Pretty stunning to my eye. Brian estimated an 11-12 week wait for my custom order, and he hit that timeline perfectly. The pen arrived last week and it’s absolutely everything I hoped for. The acrylic looks like it’s ON FIRE…so hot. With the added versatility of the two sections, this is a pen that will be very hard to take out of rotation. Brian included both a black and blue Schmidt 5888 rollerball refill (medium), along with two springs. The spring is seated onto the back of the refill to hold it in place inside the pen body so that it fits snuggly and perfectly. 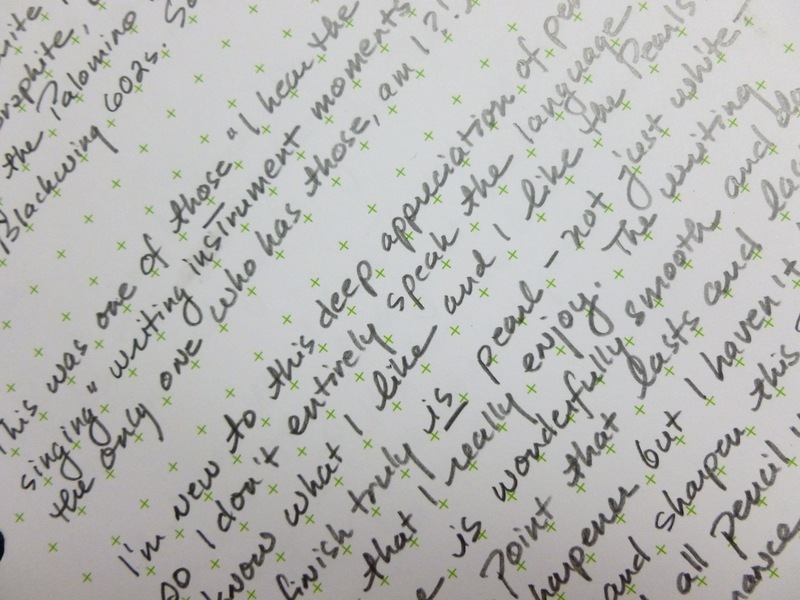 The Schmidt 5888 is smooth and kind of luscious—like the rollerball equivalent of fountain pen ink. The Schmidt 888 and Schneider Topball 850 refills are also compatible. My photos just don’t do this material justice. 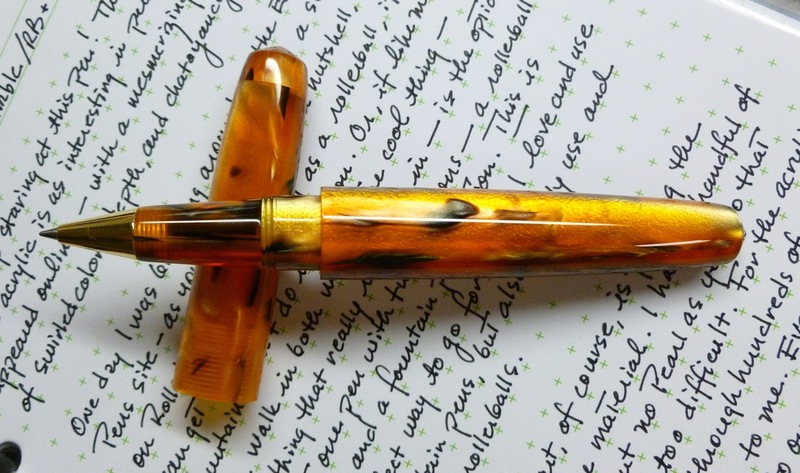 Much like the Persimmon Swirl acrylic of my Edison Collier, it puts me in a pen-staring trance with its mesmerizing jumble of swirled colors, depth, and translucency. I like that little clear section in the middle of the cap. 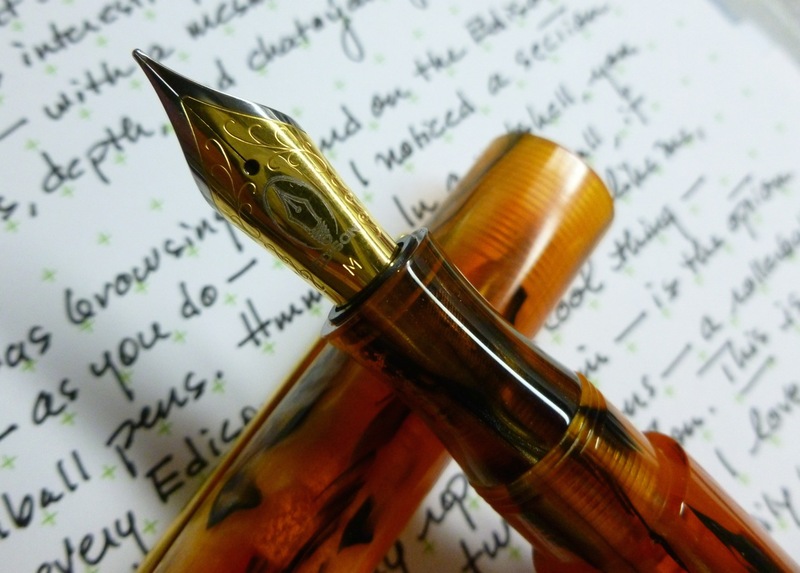 When you buy an Edison pen, you get guaranteed satisfaction. 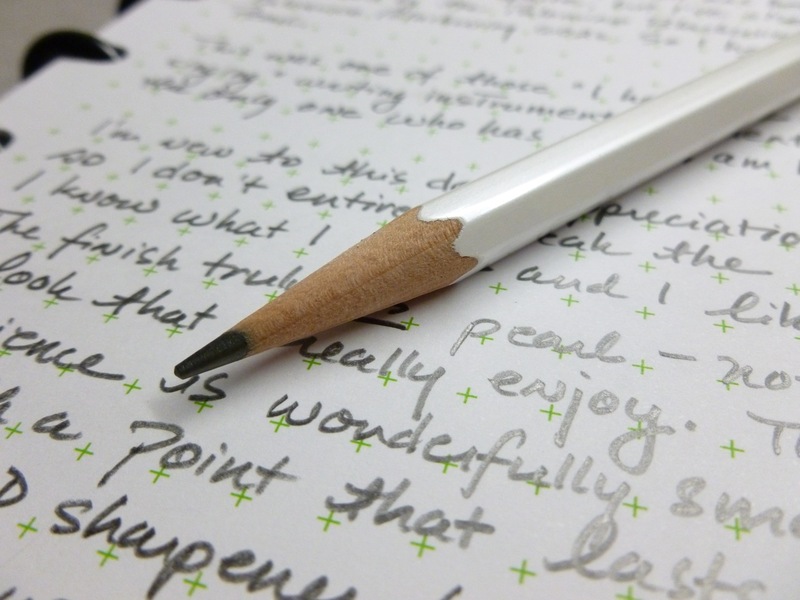 In the letter that came with my pen, Brian wrote, “Our services go beyond the sale. If you ever have any issues, let us know. If you ever get a scratch, we’ll be happy to buff the pen free of charge.” It’s great knowing that I won’t have to jump through hoops should an issue ever pop up. 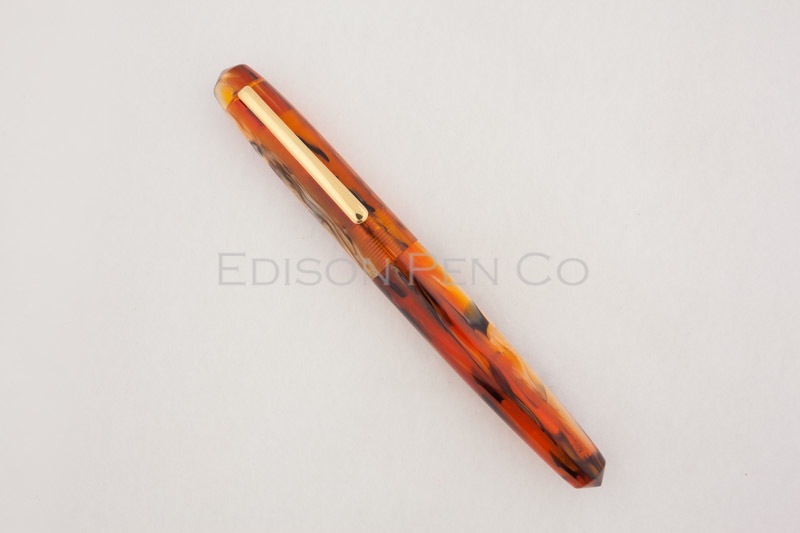 While the Edison Pen Co. is famous for their gorgeous fountain pens, they probably aren’t who you immediately think of when you’re shopping for a rollerball. Maybe that’s about to change. I purchased this pen with my own funds. I was not compensated in any way, nor was I asked to provide a review. But, really, how could I not?! Many thanks to JetPens for sponsoring the purchase of the pencils reviewed here. There are no affiliate links and I was not monetarily compensated. This review reflects my opinions and experiences with the pencils. 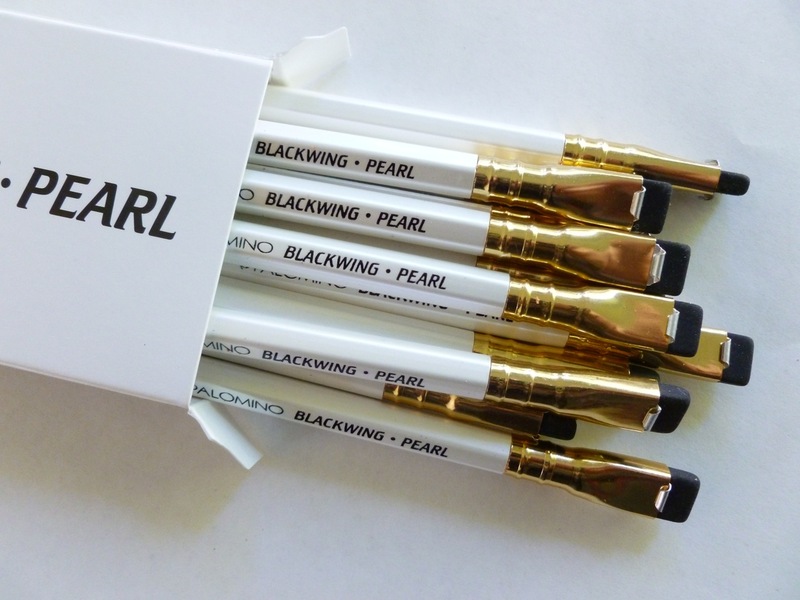 Turns out the Blackwings and 602s were merely gateway drugs to a new pencil high experienced with the purchase of the Palomino Blackwing Pearls. When you find yourself walking around your pencil-stuffed house mumbling, “Where IS my Palomino Pearl?”, you know you’ve found your drug…ummm…pencil. 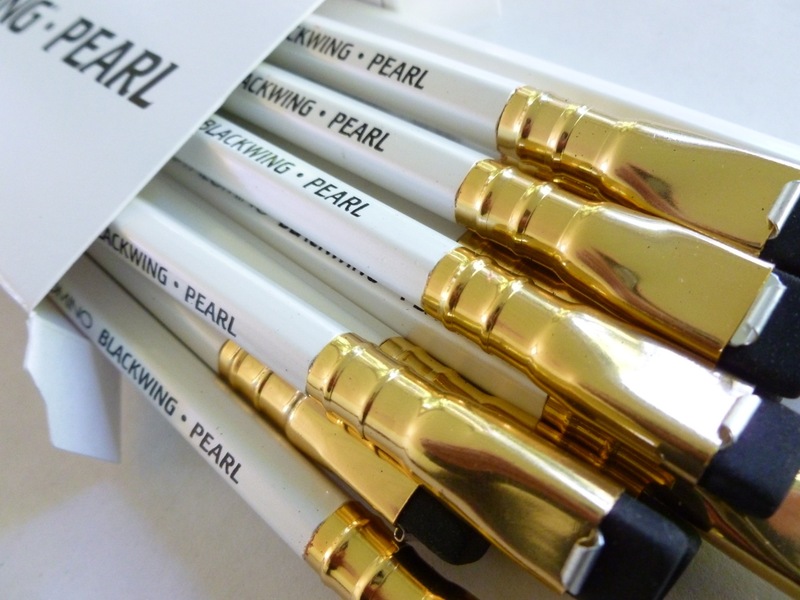 I’ve always been a sucker for a true “pearl” finish— on cars, pens, etc.— and these pencils shine with their pearly white coat. I can’t really capture it in my photos, but it’s a lovely and unusual look for a pencil. I think it’s stunning. So yes, I initially judged this pencil by its finish. 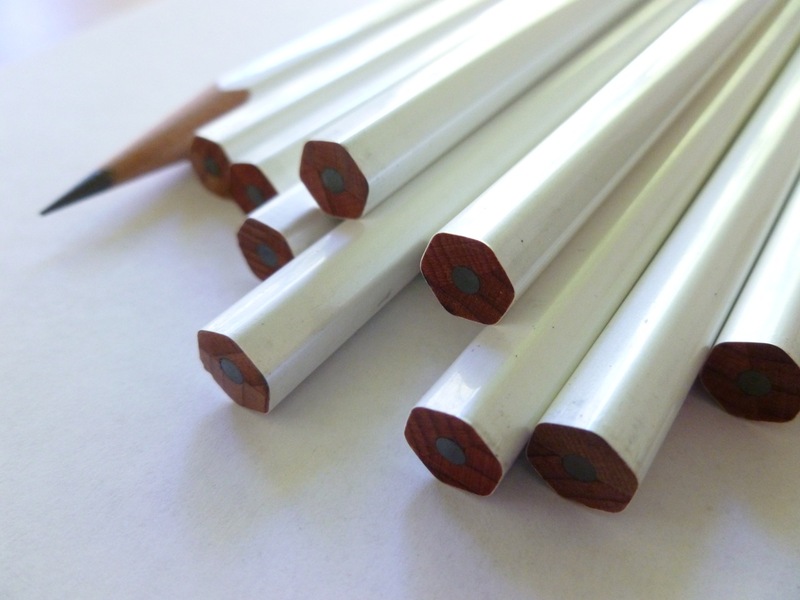 But to love this pencil for its finish alone would be short-sighted. The Pearl lays down a creamy feeling line— smooth and dark with a point that lasts and lasts. It’s crazy good. Of the 602, Blackwing, and Pearl, I like this one the best. To my eye, the line seems to fall between the 602 and Blackwing in terms of darkness, and with better point retention than the Blackwing. But what do I know? I’m new to this whole pencil game, so take these details with a grain of salt. Bottom line, though, this is a VERY NICE pencil. 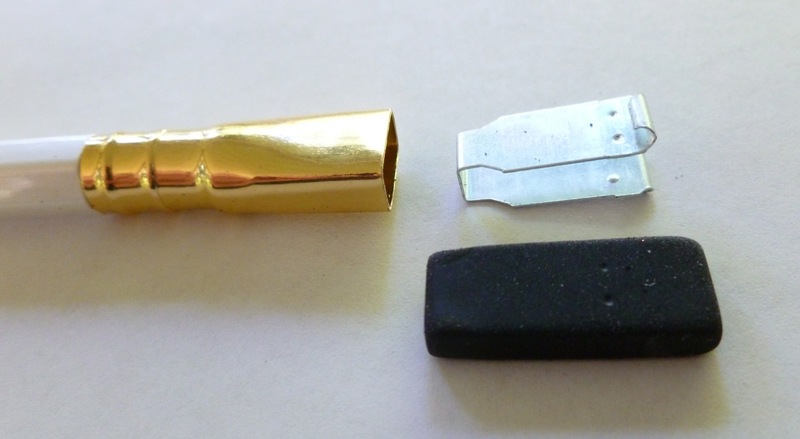 If you’re new to the Blackwing line, you may not realize that the uniquely shaped eraser is adjustable AND replaceable. 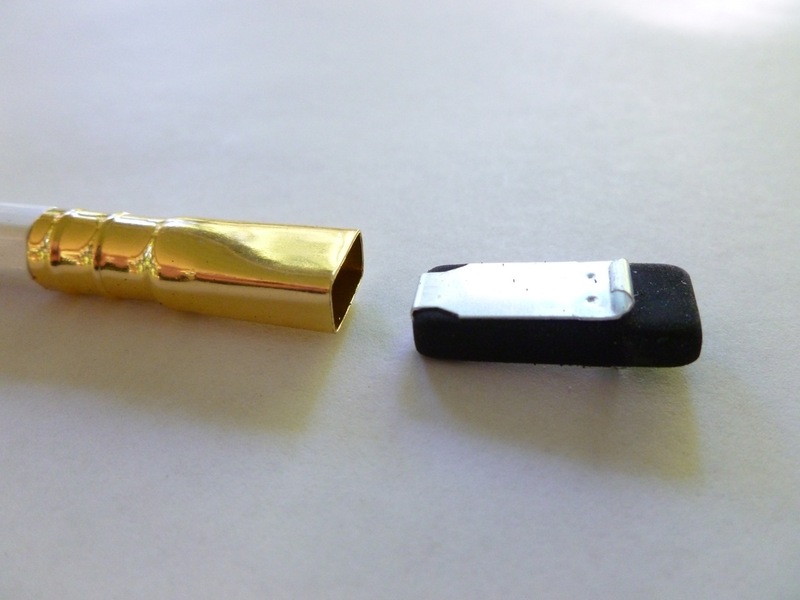 That is, you can “scooch” up the eraser in the eraser holder as it wears down, then replace it altogether when it gets too small. I tend to use up my pencil before the eraser gives out (I’m a bit of an obsessive sharpener), but it’s a cool feature. 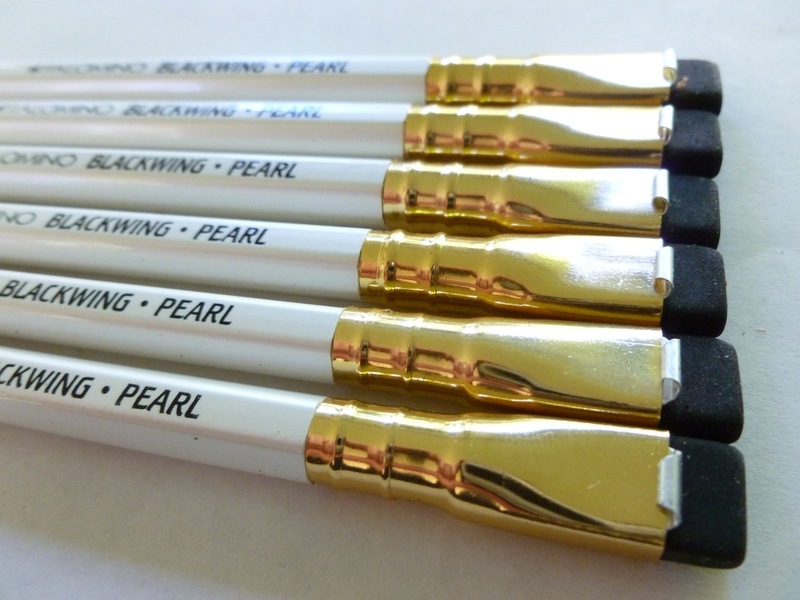 The Palomino Blackwing Pearls— I have found my pencils. Want to hear the angels sing, too? 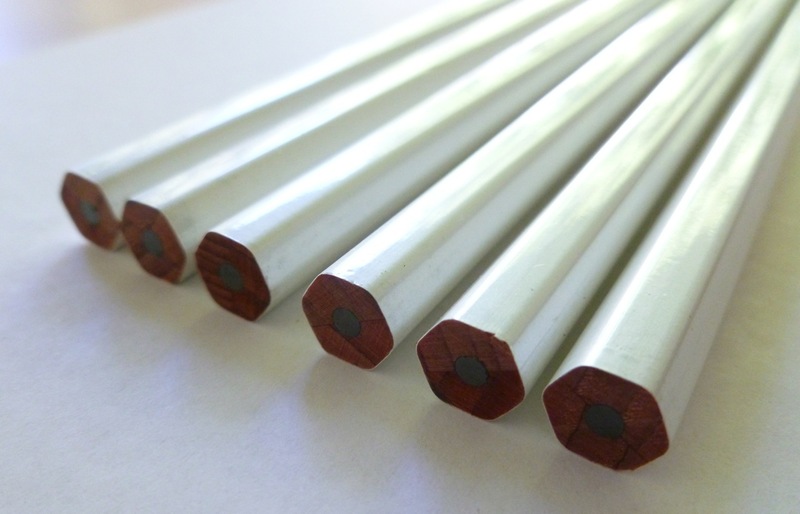 Check out JetPens Palomino Blackwing offerings HERE. Hey, there are some pretty cool colored replacement erasers. I didn’t know that until just now!